Long hours, fatigue, and managing daily stressors can all negatively influence a truck driver’s mental health. And unless they are driving on a team, truck drivers face many days alone. While this solace can be nice, it can also take a toll on a driver’s well-being. 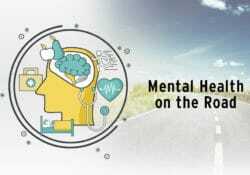 Mental health is a big part of a truck driver’s overall wellness and can greatly affect his or her productivity, life on the road, and relationships with others. Let’s see how anxiety and depression may impact truck drivers and how we can help those who are struggling. So you’ve decided you’d like to pursue a career in truck driving—congrats! You’re about to embark on a fulfilling adventure as a driver. 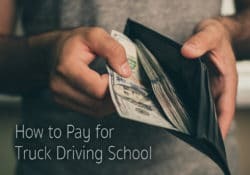 One large factor that goes into many individuals’ decisions to start truck driving school is cost. Take a look at some information on paying for truck driving school. At Dot, we care about our employees and their families, and we value their time. 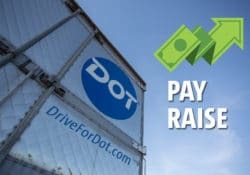 Because of this, we pay our drivers not only for each mile they drive but also for a lot of the activity they have to conduct while on the road. 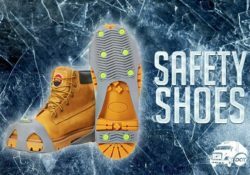 As I sit in my office during the winter months and look at the parking lot, I witness daily instances of near misses from people slipping on ice and snow. And it just so happens that slips, trips, and falls are one of our most frequent types of injury.